The must-read summary of Roger Van Oech's book: " A Whack On The Side Of The Head: How You Can Be More Creative".This complete summary of the ideas from Roger Van Oech's book "A Whack On The Side Of The Head" shows that creative thinking can yield extremely positive results, and at the best of times can lead to innovative and profitable ideas. Occasionally, however, we all get mental blocks which deter us from thinking outside the box. We feel obliged to follow strict rules and are afraid of making mistakes or coming up with bad ideas. This summary identifies the ten most common mental blocks, or misapprehensions about the way we should think, and provides useful solutions to each issue.With stimulating puzzles and exercises it will give you a mental workout and is just the key you need to unlock your mind and stimulate creative thoughts. 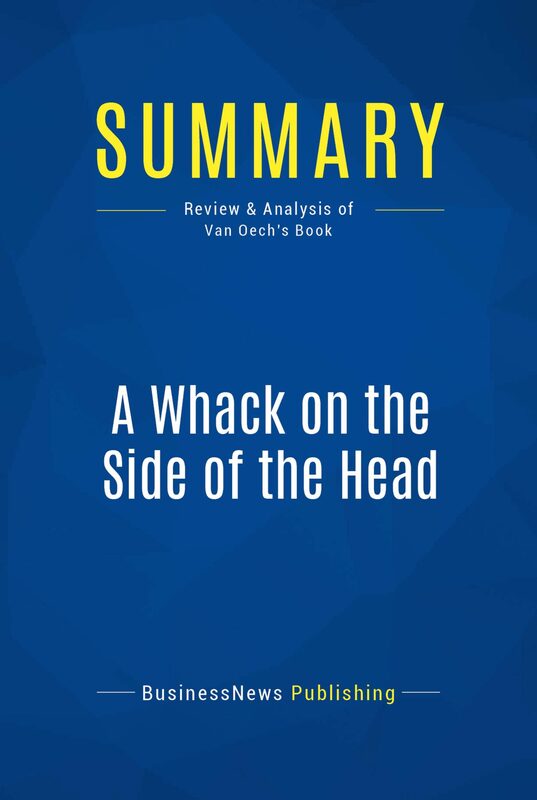 Added-value of this summary: • Save time • Understand key concepts • Develop your business knowledgeTo learn more, read "A Whack On The Side of The Head" and unleash your creativity.